What makes hearts beat in Memphis? Is it the rich heritage of America’s favorite music, or its forefront push for civil rights? Trick question, because the answer is yes, because the two are forever intertwined. And both were born because King Cotton ruled the land. The Memphis Cotton Exchange was the Wall Street of the South, where traders sold those bales to the mills of England. Today it tells that story as the Cotton Museum, detailing the sorry life of the slaves who made their masters’ fortunes and the songs they wailed as instruments of survival: birth of the blues. The blues are alive and well on Beale Street, the city’s original African-American hub. Recalls B.B.King, “It was like a village, where we helped each other: shops, cafes, clubs. It’s where everybody came on a Saturday night.” Still is. The stretch dances with neon (including B.B.’s own club) as music lovers roam from club to club. Close by, the Rock ‘n’ Soul Museum plays out the musical gumbo that put Memphis on the map: songs of black sharecroppers; gospel ringing from their churches; jazz, blues and country that rocked their radios. Listen to those legends via the museum’s jukeboxes. Radio wove the bond between blacks and whites, led by black musicians like B.B. King at WDIA, the station playing the provocative Rock and Soul that seduced white listeners—doing for music what, later, Dr. Martin Luther King would do for civil rights. Step into the recording studios themselves, starting with Stax, launched in 1957 in a back-street garage and today memorialized in a vintage movie theater that unreels the story of black and white musicians, “integrated in a highly segregated city. 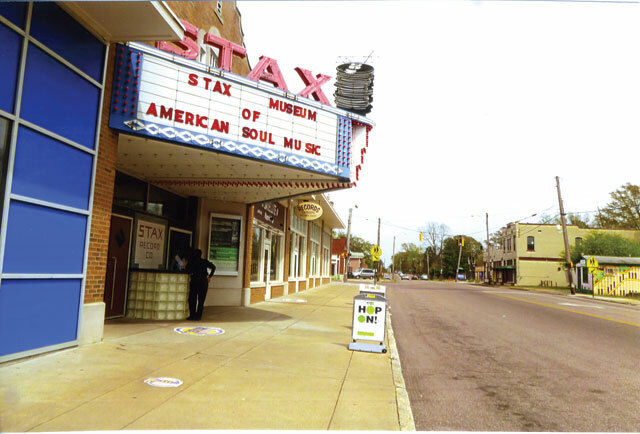 Going to Stax was like going to church,” its director declares. Count Otis Redding, Isaac Hayes and Aretha Franklin as members of the choir. But MLK’s assassination changed all that. And Stax went under. Sun Studios started a music revolution, instructs tour guide, Tiffany, when in 1957 Sam Phillips launched the record company that brought rock ‘n’ roll to the world. “Roy Orbison, Carl Perkins and Johnny Cash all recorded right where we’re sitting,” Tiffany gushes. Anyone could plunk down $4 and cut a record, and that’s what a country boy named Elvis did at age 18, crooning “My Happiness.” But Sam hated—hated!—ballads, so wouldn’t grant the kid an audition. Finally Elvis sang some blues for Sam, tweaked with a country twist: “That’s All Right” was so all right that the local radio DJ spun the record 14 times back to back. 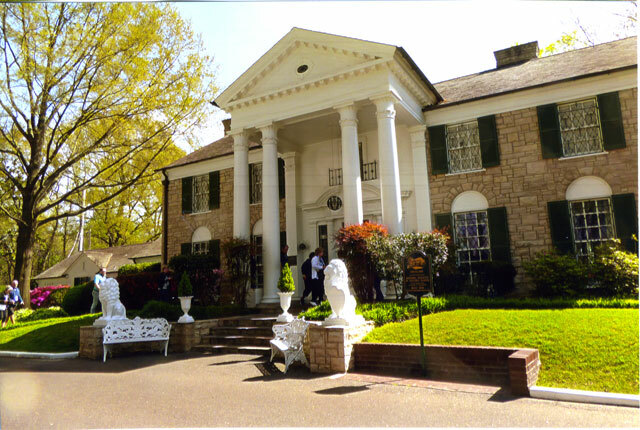 Three years later, in 1957, those hips were swiveling on TV, and at age 22, Elvis bought Graceland for $100,000. He redecorated it, as you’ll see on tour, in perhaps the worst taste in Tennessee: the infamous Jungle Room, complete with waterfall, fake fur upholstery and green shag from floor to (and upon the) ceiling, along with 14 TVs (three in the den) and the first microwave in Memphis. Adjoining buildings display his famous jumpsuits, pink Cadillac, fancy Ferrari and private plane; the story of his Army days and tepid comeback in 1968—all larger than life, as was his heart. Pause at the King’s grave for a moment. Then turn to the story of another King—MLK—on the 50th anniversary of his assassination in the Lorraine Motel, which now serves as the National Museum of Civil Rights. Renovated in 2014, it calls on vivid testimonies by African-Americans who endured myriad indignities and worse, starting with the beginning of the slave trade in 1619; by 1850, four million people were enslaved. Watch newsreels, listen to speeches, hear the sirens and the screaming as the push for freedom gains momentum with boycotts and marches. Climb aboard the bus in Birmingham where a driver sends you to the back. Walk with hundreds who marched at Selma, and in Washington, D.C. Take a stool at a lunch counter sit-in. Peer into the jail cell where Dr. King wrote his famous letter. When Memphis’ sanitation workers went on strike—proclaiming together “I Am a Man”— Dr. King came to town to join them… and was shot in his hotel room, right where we stand, his suitcase open as he left it. A bright light in slavery’s shameful story is illuminated at Slave Haven, a museum of the city’s underground railway housed in the modest home of German immigrant Jacob Burkle, just two blocks from the Ohio River’s course to freedom. Today, its rooms are filled with ads of former slave markets (Memphis had 12); branding irons, neck shackles and photos, later on, of the KKK. The rooms also are rich with slaves’ signals for escapees’ risky journeys north: the language of quilts, hung on wash lines; of yard jockeys, whose lanterns sent messages; of talking drums and church songs: “They weren’t about religion, but about freedom,” reveals tour guide Elaine Turner. “’Swing Low, Sweet Chariot’ translates to ‘Run, duck low, and hop a wagon.’ They didn’t bring slaves out of Africa,” Turner clarifies: “They brought Africans out of Africa.” The lucky ones found shelter under the trapdoors in Jacob’s house. 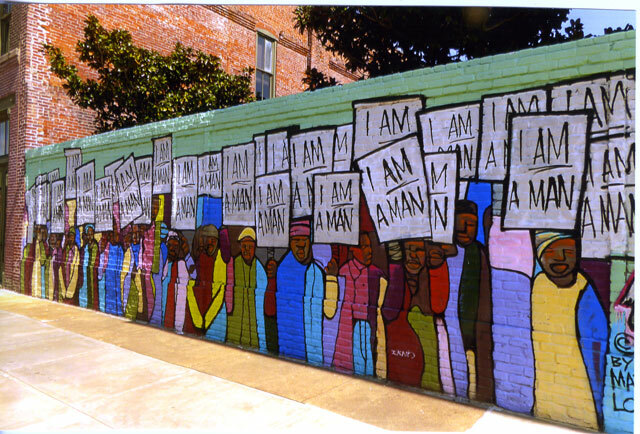 Today’s black community is celebrated in the ebullient I Am a Man mural on South Main Street, anchoring what’s fast becoming downtown’s Arts District. Just beyond, headlining my favorite art form, stands 99 Cent Soul Food. Its counter-service menu showcases Southern staple vegetables like baked yams, butter beans, black eyed peas and mac & cheese (yes, in Tennessee it counts as a veggie), along with fried chicken (add $5) and catfish (add $8). Plus banana pudding, the queen of Soul desserts. Cross the street to slurp a few at Pearl’s Oyster Bar, or amble a block west to Gus’s World Famous Fried Chicken (he’s not lying), a shack easily spotted by the line out the door. You crave ’cue? (If not, check your pulse.) At Central BBQ the bones slide from meat that’s moist and tangy, while at Rendezvous, it’s all about dry rub and sweet tomato sauce, emanating from an alleyway near the patrician Peabody Hotel—famed for its parade of ducks from its lobby fountain, orchestrated by an official Duckmaster in full regalia. “Best Tennessee,” the locals correct my pronunciation, and point of view. Jackson, two hours from Memphis, offers a hometown base. 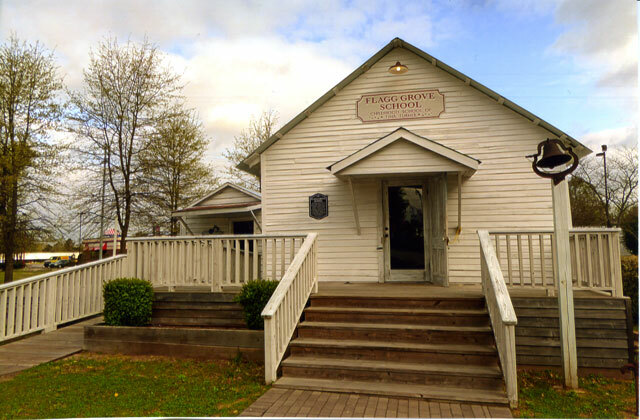 Along the way, pull over at Brownsville, where the West Tennessee Heritage Center unspools the region’s relations to King Cotton and to queen of the music scene, Tina Turner. The black kids’ schoolhouse she attended now houses her costumes and gold records. Union City’s Discovery Park of America—an “if you build it” site in the middle of nowhere—lures 250,000 visitors a year to its eclectic exhibits, ranging from earthquake simulator and space station to dinosaur bones. Reelfort Lake was born of an earthquake and today boasts a state park for a pontoon or kayak ride through its cypress stumps to view turtles, eagles and camo’d fishermen. 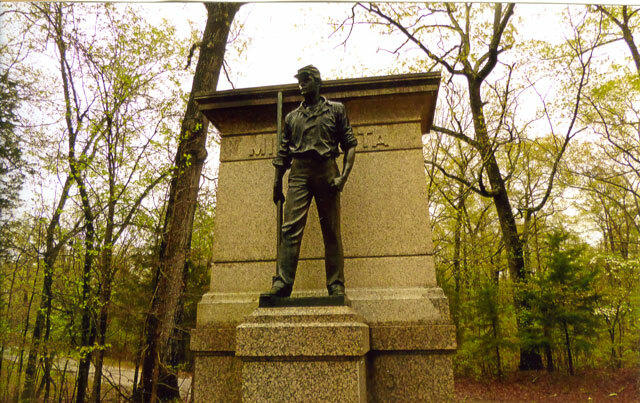 History buffs, Shiloh’s calling. The national park is site of the first big, and bloody, battle of the Civil War (23,000 casualties), where the North unloaded green, untrained men at the river’s Pittsburg Landing to march onto Southern troops billeted in the forest. A film details the generals’ strategies for the two-day battle, after which we trace a 13-mile loop past cannons, pyramids of cannonballs and monuments, including Minnesota regiment’s, near the Hornet’s Nest, named for its volley of bullets. Visit www.tnvacation.com to plan your visit.